Fish market. 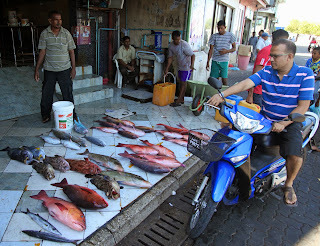 Malé is the capital and most populous city in the Republic of Maldives. The central island is heavily urbanized, with the built-up area taking up essentially its entire landmass.